If you haven’t already, you really ought to consider upgrading to the latest version of Microsoft Office. I know we argued before that Office 2016 wasn’t worth it Don't Buy Office 2016! Here's Why You Don't Need It Don't Buy Office 2016! Here's Why You Don't Need It Should you buy the standalone package version of Office 2016? We present our case why we think you shouldn't and show you what you can do instead. Read More , but Office 365 is still a valid option as it shares all of the same features and improvements. Indeed there are so many reasons as to why upgrading is a good idea 13+ Reasons You Should Upgrade to Microsoft Office 2016 13+ Reasons You Should Upgrade to Microsoft Office 2016 Microsoft Office 2016 is here and it's time for you to make a decision. The productivity question is -- should you upgrade? We give you the new features and the fresher reasons to help you... Read More , including an abundance of new productivity features that will save you time 10 New Microsoft Office 2016 Features to Increase Productivity 10 New Microsoft Office 2016 Features to Increase Productivity Microsoft Office 2016 receives new features all the time. They are available first to Office Insiders and Office 365 subscribers. We show you the best new Word, Excel, PowerPoint, and Outlook features and how to... Read More . Among those new features is the Quick Analysis function — which I fell in love in the first time I used it. Using the Quick Analysis function is dead simple. Open a spreadsheet that has data in it, select a group of cells, then click on the icon that shows at the bottom-right corner of your selection (this is the Quick Analysis button). Upon clicking, you’ll see several types of possible analyses. For example, in the Formatting category you can hover over Data Bars to preview all numeric cells filled proportionally by data value. In the Totals category you can hover over Sum to see the summed value of all columns in your selection. If you want the preview to become real, click instead of hover. I first found out about Quick Analysis when I was tracking the nutritional information of everything I ate — and the Sum feature was so useful in quickly summing up and previewing a day’s worth of food without having to use permanent equations and functions. You can also use Quick Analysis to preview and make charts and tables in the blink of an eye. It doesn’t get more productive than that! 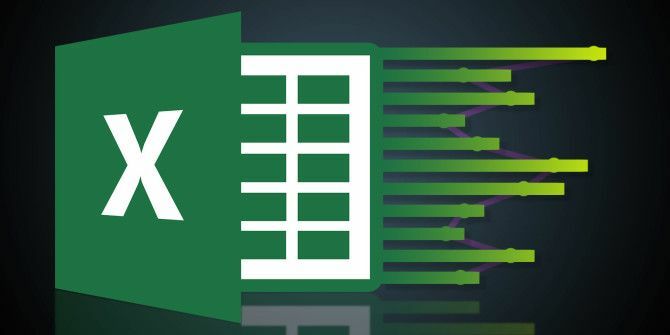 Along those lines, we also recommend checking out these other must-learn Excel tips 8 Tips for How to Learn Excel Quickly 8 Tips for How to Learn Excel Quickly Not as comfortable with Excel as you would like? Start with simple tips for adding formulas and managing data. Follow this guide, and you'll be up to speed in no time. Read More . Have you used the Quick Analysis feature before? If so, what do you use it for? If not, will you be using it now? How useful does it sound? Share your thoughts with us below! Explore more about: Microsoft Excel, Microsoft Office 2013, Microsoft Office 2016, Microsoft Office 365.